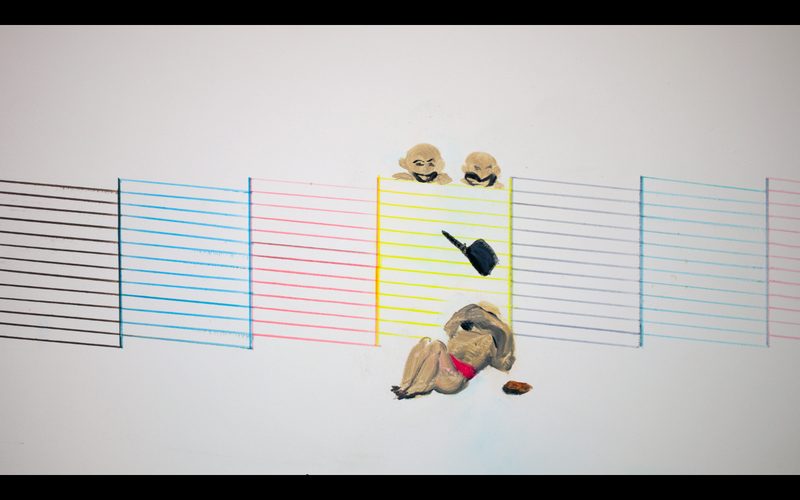 The work shows a Man (UnderMan) sitting by what looks like a printer nozzle Wall. Objects will start dropping on him, showing two men (AboveMen) on top of the wall throwing objects on him. The AboveMen do this with freakish excitement. The objects fail however to truly put him down. UnderMan, tired of the objects’ failure, has become inspired by the AboveMen, gets a large hammer and hammers himself down into the ground, successfully buries himself.